Former India batsman Mohammad Kaif has lauded Mohammed Shami and Ravindra Jadeja after they ‘fought their way back’ in the ICC World Cup squad. India, on Monday, became the third team to announce their World Cup squad with MSK Prasad-led panel naming both Shami and Jadeja in the 15-man squad. Both were left in the cold from the ODI team not very long ago. Shami, who was India’s second highest wicket-taker in the last World Cup, had lost his rhythm in white-ball cricket. In fact, he had played just three ODIs between the 2015 World Cup semifinal and the West Indies series in October last year when he was recalled. During the West Indies series, Shami played in the first two ODIs and was dropped for the last three for his indifferent performance. However, the right-arm pacer proved his worth soon on the tour of Australia and New Zealand which eventually paved the way for his second appearance in the World Cup. Jadeja, on the other hand, had fallen down the pecking order after the remarkable rise of Yuzvendra Chahal and Kuldeep Yadav since mid-2017. However, the allrounder has not looked back since returning to the ODI team during last year’s Asia Cup. As a result, he too made it to the World Cup. 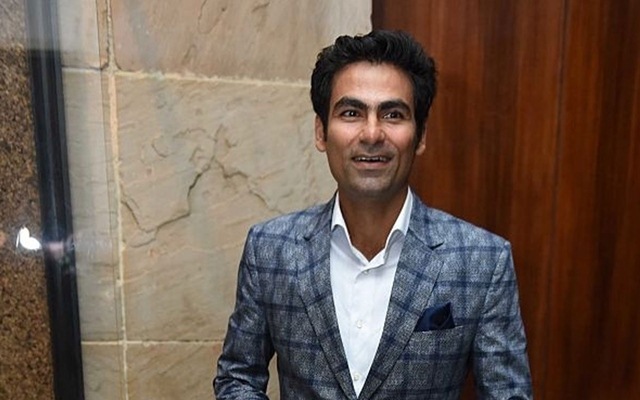 And Mohammad Kaif pointed out Shami and Jadeja’s remarkable late turnaround as he took to Twitter to convey best wishes to the team for the World Cup. “6 months back, Mohammad Shami was nowhere near being considered for white ball cricket, but some outstanding performances have ensured his selection for his 2nd World Cup. He & Jadeja have fought their way back in. There will be few disappointed players but best wishes to Team India,” wrote Kaif. MSK Prasad, India’s chief selector, has said that 15-man squad selected for the World Cup is well balanced and has all bases covered. “In the team, we have the luxury of 7 bowlers. We have covered all the bases and this is one of the most balanced India sides for the World Cup,” Prasad said while announcing the squad. The World Cup will start on May 30. India, on the other hand, will start their campaign on June 5 against South Africa.